My day usually begins with emails and social network catch-ups. I sit at the dining room table with coffee and my hands work a MacBook Air, during which time I nudge album after album from my main rig that sits five or so metres in front of me: a MacMini pushes the audio binary out to an Audiophilleo2, which is hooked into any number of DACs. A Rega Brio-R and Epos ELS-8 take care of the rest. The MacMini is controlled via Squeezebox Server interface from either Macbook Air or iPad. I sit, I listen, I type. …almost. But I have a dirty secret: I’m not a 24/7 audiophile. In discovering new music, I fire up YouTube links, dig Soundcloud mixes and play emusic.com previews on the Air itself. The Air has no formal audio connection to the myriad gear that sits at the other end of the room so – with heavy heart – I confess to playing web-browser-constrained music via the Macbook’s painfully puny in-built speakers. For shame. I am not alone. Many, many of my younger pals sit on the couch and listen to tunes – they listen via their laptop speakers too. They do so because of convenience. Fair enough. They hate wires because wires maketh life messy. Also fair enough. However – at the risk of echoing Neil Young – convenience is massively denting the quality of the music listening experience. 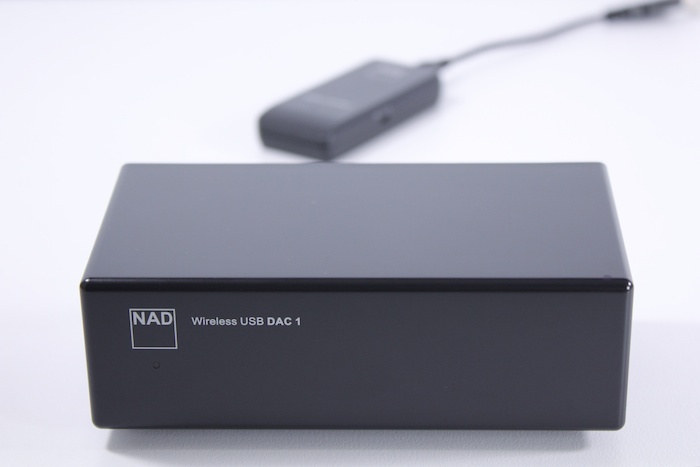 NAD’s functionality coup with the Wireless USB DAC 1 (AU$349) is – as its name makes plain – wireless transmission of digital audio. 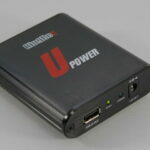 Inside the box there’s a USB-powered transmitter dongle and a switch-mode powered receiver unit (which runs on 5V). 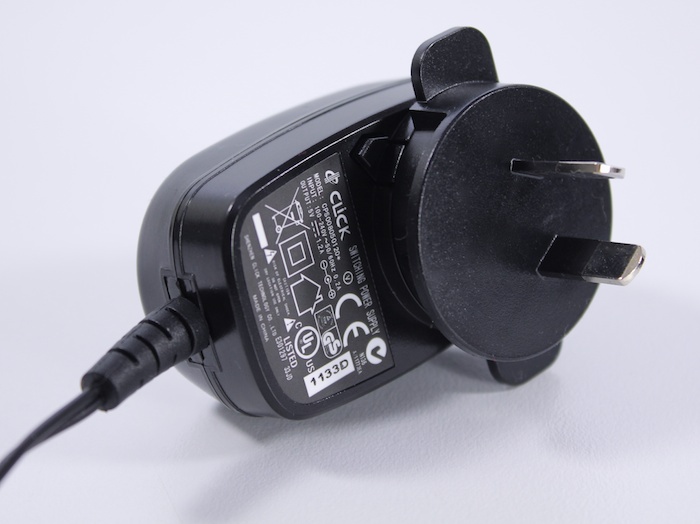 DIYers will likely already see this device’s hackability: no direct connection between source computer and DAC. Tidying up the power supply on the receiver with linear brick or battery pack could bring significant gains. Set-up is a snap: hook the transmitter into the host computer’s USB port, select one of three wi-fi transmission channels, hook the receiver into your amplifier (or DAC – more on this later) and then select the same wi-fi channel. The LEDs on both units will flash furiously between red and blue before locking signals and showing only blue. A stable red LED indicates the transmitter-receiver pairing has failed. I experienced absolutely zero connectivity issues; the connection between transmitter and receiver was always quick to pair and remained rock solid throughout all listening sessions. One more step for noise: select the transmitter in the sound preferences. On an OS X Lion MacBook Air it showed up as “USB Headset”. Too easy. Everything is streamed at 16/48. 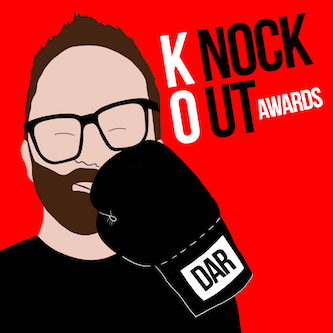 If you’re a Redbook diehard or sofa streamer (Spotify/MOG etc. ), you probably won’t mind so much. Serious audiophiles with serious hi-res collections and furrowed brows need not apply. Decoding is handled by a Burr-Brown PCM1781 chip. Listening time. 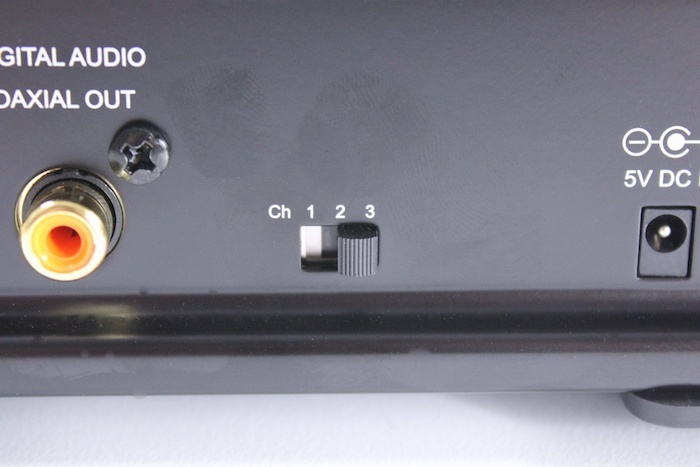 On the back of the unit sit one set of analogue outs and – for those with an existing (superior) DAC – a S/PDIF output. For this reviewer, it meant unhooking an Audiophilleo2 from the rear of an Audio-gd NFB2.1 and then lassoing the NAD receiver to the S/PDIF input with a Black Cat Veloce digital coax cable. This switch caused tonal colours to shift slightly from oil to water base. 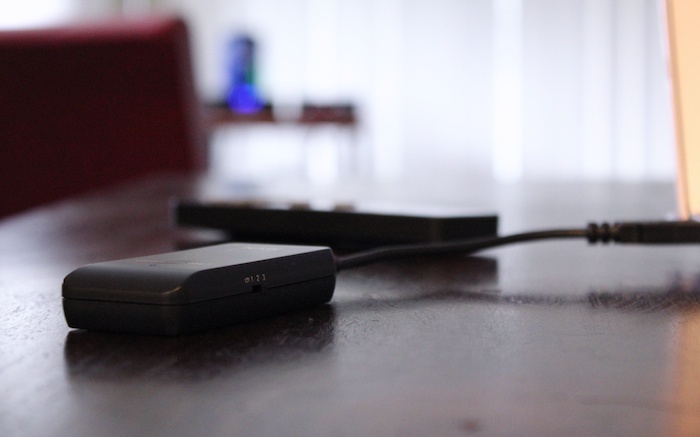 The USB DAC 1 can’t quite match the Audiophilleo2 for caffeinated energy and head-to-toe richness. Frankly, I didn’t care – functionality ran roughshod over quality divots. I was now streaming Oliver Lieb Soundcloud mixes from dining table-d Macbook Air to rear wall-d rig. I no longer winced each time I fired up a live clip on Robyn Hitchcock’s Facebook page. 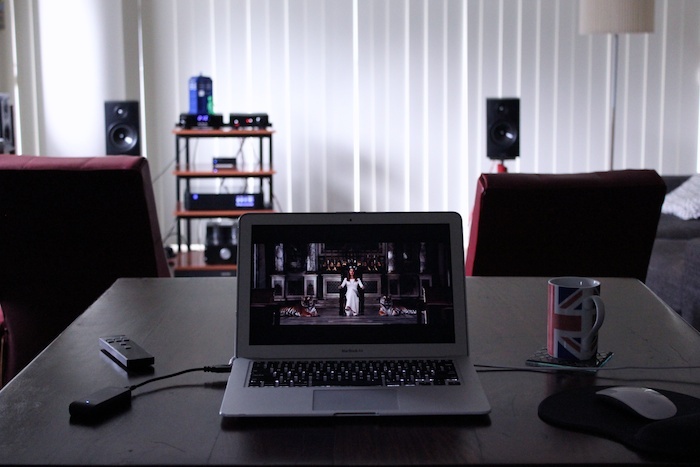 The quality of music discovery was now only a few degrees short of the library (MacMini/Audiophilleo) feed. Dude! Listeners concerned about jitter polluting their binary chain could slap a S/PDIF re-clocker between the DAC 1 (as “transport”) and their existing decoder. That’s what did. Audio-gd’s Digital Interface brings sound quality dangerously close to that painted by the Audiophilleo. Double-blinded listeners would struggle to discern the difference. That gap narrowed to the last few percentile when putting the NAD USB DAC 1 in the ring against the Audio-gd NFB2.1. The latter is more organic, the former more direct, clean and forward. As is the case with many budget DAC comparos, differences are slight and it takes time for one to discern different decoder personalities. The difference between the NFB2.1 and the DAC 1 are there – whe Audio-gd works with earthier tones and textures and deeper detail mining – but after an hour or so the trade off on clarity and dynamics is more than offset by the NAD’s streaming capabilities. 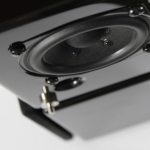 The sound of the NAD unit as a standalone DAC is more than price commensurate. That it sounds this good whilst packing wi-fi functionality is a score. There must be a catch somewhere, right? For such a budget unit, there’d be no shame if there were a lag between hitting play and hearing sound. There isn’t. 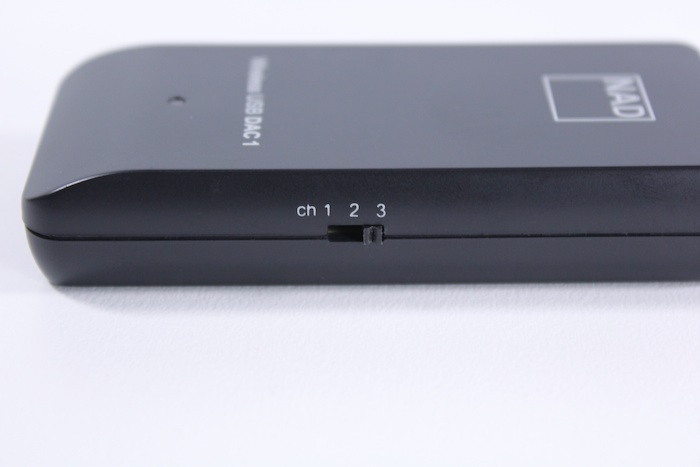 For movie watching, this means voices remain tightly in-sync with on-screen action – a feature to which the Squeezebox Touch stream-capture-feature cannot lay claim. Moreover, on a Macbook Air at least, the dedicated volume up/down keys still did their thing. There seems to be no tripping up this unit beyond the lack of a S/PDIF input. NAD’s entry-level DAC might be swiftly dismissed out of hand by serious audiophiles – their prejudicial sneer is their loss. Surely everyone is an iTunes-r or YouTube-r at some point during the week? In the Darko household, the wireless USB DAC 1 point-to-point bridges writing chair and main hi-fi rig. 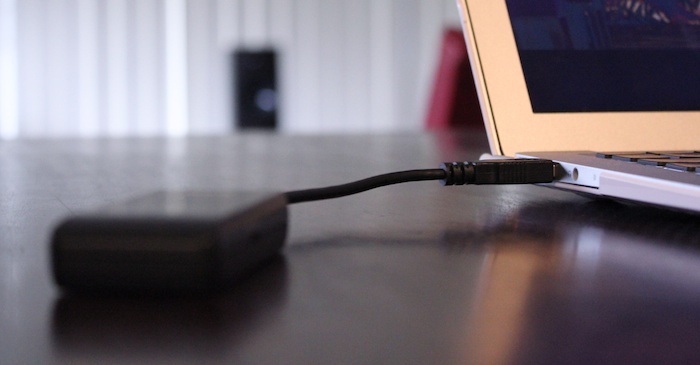 I can tap the audio that lives on – or is streamed to – my Macbook Air without getting out of my seat. I can never go back – I shan’t be returning the review unit. “Bill please!”. It’s only because of my obsessive compulsion with juicing the very best from audio ones and zeroes that I’ll keep the NFB2.1 in place. More sane folk might stick with the NAD unit because a) it isn’t that far behind the Audio-gd and b) the killer blow – it sets the listener and his source laptop free! In a perfect scenario, one would opt for a DAC (like Rega’s excellent twin Wolfson implementation) that has two S/PDIF inputs: the Audiophilleo2 for furrowed-browed serious listening and the NAD box for more frivolous web source streams. The potential flexibility of this device doesn’t stop with me. It takes the hi-figame to the man in the street (who may have hitherto resisted the DAC world because it’s too much effort). 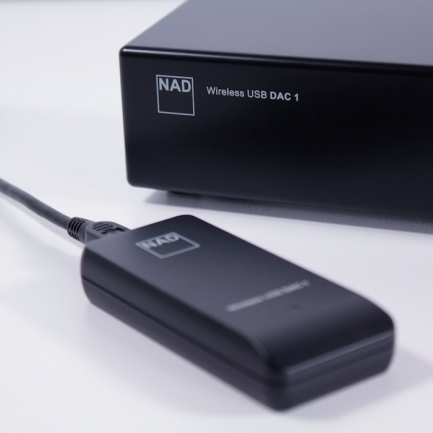 NAD’s Wireless USB DAC 1 provides an affordable way for you, me and said man in street to divert sound away from those abysmal bleater-speakers and into the back of our hi-fi units. No matter how shabby that hi-fi may be, it’ll make a nicer noise than that which Messrs Dell or Cook pack into their portable computers. With this product, NAD aren’t waiting for the kids to wake up to audiophillia. They are taking a great sound, complete with flexible wireless game, direct to their door. NAD’s message is clear: you can have a MUCH better sound for AU$350 without getting off your arse! 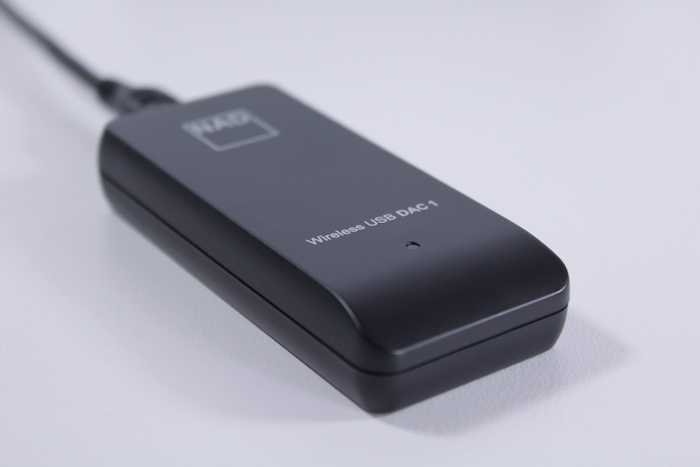 An entry level DAC from NAD that pulls both price-commensurate sound and price-defying flexibility from the digital audio hat. A true everyman hi-fi product. Bravo. 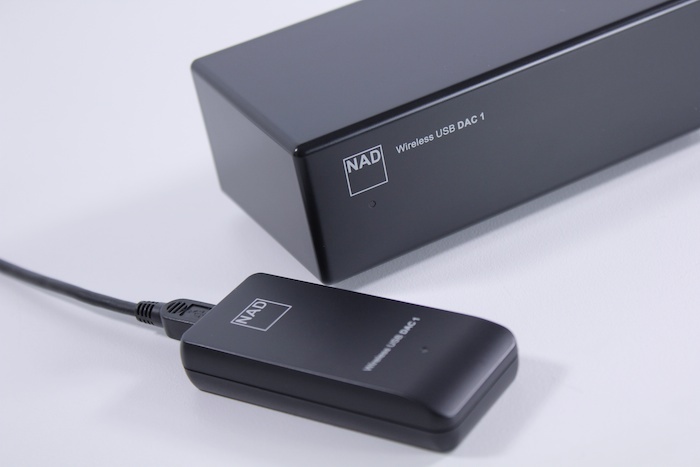 I am a new owner of a NAD Wireless USB DAC 1.
i have found that when I plug the usb device into my laptop, it loses wifi connection with my wireless router. I have tried the 3 channels on the NAD. the wifi is reconnected immediately when i remove the NAD from the laptop. No have not tried that yet. I did get a reply from NAD Salon, ie help. They said to use a longer USB cable to move the NAD transmitter further away from my laptop. I will try that tonight if i can find a USB extender at home, else buy one tomorrow. Very impressed with you and NAD timely respones. Eventually tried the suggestion from NAD. so it was just a matter of moving the USB transmitter away from my laptop by about 500mm to remove the interference. John, it looks like you are both impressed with the flexibility of his DAC and the sound quality. In your opinion do you think the SQ alone from this DAC is to near enough hi-end audiophile standards (if you are only concerned about playing 16 bit CD quality music that is)? It looks so convenient – and if it also sounds excellent then this might be what I am looking for. There are so many forums talking about the quality of computer audio and how to isolate the transport from the DAC and kill off the background processes of the PC for improved SQ. Well it looks like the NAD is already completely isolated from a noisy PC source AND is not at all influenced by background PC processes running. Plus there is no concern about a wobbly CD and laser as a transport. And you can even choose your own DAC via the SPDIF out (for example a 16 bit NOS DAC) to boot!